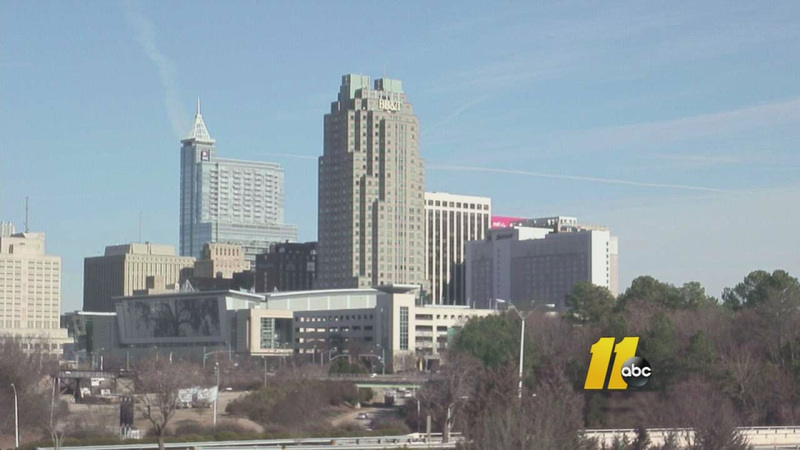 Raleigh named one of the least romantic cities in U.S.
RALEIGH (WTVD) -- Raleigh is accustomed to being in the top 10 of many lists, but their number 2 ranking on a new list of least romantic cities is one ranking the city could do without, especially with Valentine's Day coming up. Instacart, a company that operates a same-day grocery delivery service, complied its 2018 Instacart Romantic Index (IRI) based on its customer search terms for their grocery delivery orders. The terms including universally romantic words like "flowers," "strawberries," "candy," "champagne" and more. Cities with a high volume of romantic term searches placed high on the IRI's Most Romantic Cities list. Cities with less frequent romantic term searches fell onto the IRI's Least Romantic Cities list.